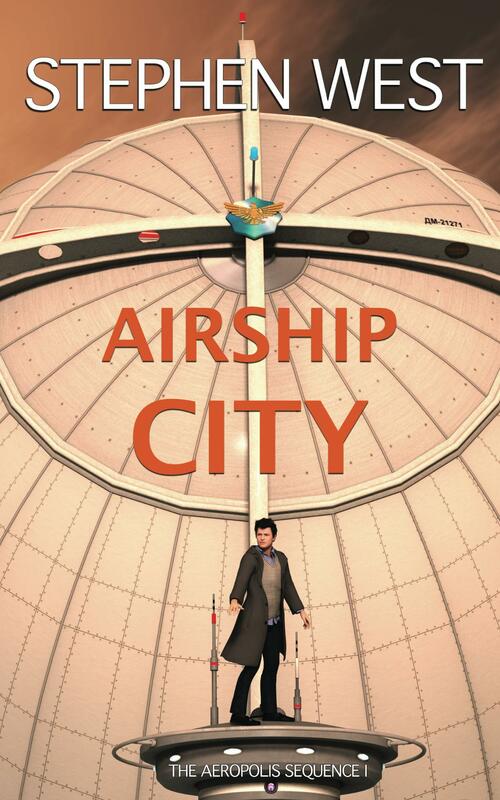 Since publishing Airship City I’ve been experimenting with different forms of promotion. I paid for some Facebook advertising, which seemed to do very little. I then took an ad on Goodreads. I’ve had some response from that, in the form of people adding the book to their “want-to-read” lists, but the click-through rate seemed awfully low. 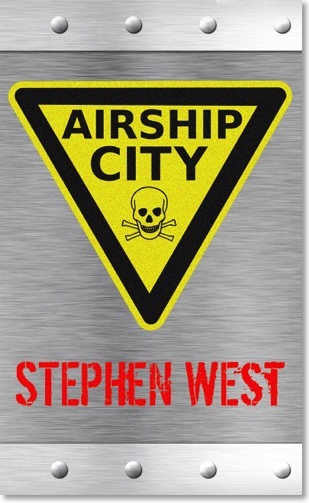 I had also been looking into making a printed copy of the book through Createspace, but had run into a problem with my cover: I had designed it at web resolution, and there was no way it would work in print. Graphics for display on computer screens look fine at about 75 dpi (dots per inch), whereas anything under 300 dpi doesn’t look very good when printed. I couldn’t use my existing cover on the print copy. Since I was going to re-do the cover anyway, I thought that maybe I should try to redesign it as well. The only visual element in a Goodreads ad is the cover, and I had begun to wonder whether the cover wasn’t the reason for the low click-through rate. I liked the cover but it was fairly dark and low-key, not very eye-catching. I decided that I would try and come up with a new cover idea when I went on holiday. While flying to Spain, I was seated near the wing, and as I looked out of the window, I saw a bright yellow and black hatched sign, painted on the wing surface, with the warning NO STEP stencilled in. I hit on the idea of making the cover look like such a warning sign, and sketched up a few ideas. Once back in the UK, I fired up the MacBook Air, and went through a few iterations of the design. I had a closeup picture of riveted, polished aircraft skin, that I had taken at an aircraft museum, but it was quite curved, and had some unwelcome reflections in the polished surface. While searching for Ink Factory tutorials, I stumbled across a very nice brushed-metal background, that was both large enough, and seemed free to use. I then downloaded a suitable warning sign in Ink Factory SVG format, which I disassembled, modified, and made much larger (through the magic of vector graphics). I then exported it as a bitmap and combined it with the background in Pixelmator. After adding text for my name (using the amazing Dirty Ego font) the cover was ready to go. And here it is! The revised Goodreads campaign has only been live for a few hours so it’s too early to tell if it’s had any effect, but time will tell.